Let’s take a closer look at Please and Thank You. There is a strong desire that children say these words. The most common way to “teach” children to say these words is to prompt them as they are given something or as they ask for something. I really don’t like it, and perhaps more importantly, I don’t think it works. We have never prompted our girls to say Thank You, or Please, even if an awkward silence follows the receipt of a gift or compliment, instead we simply use these words ourselves, frequently. This isn’t permissive or lazy, it is our tactic. And guess what? It works. Our children say Thank You and Please, all the time, several times a day, and with true heartfelt feeling. Thank You and Please is an expression of gratitude, of feeling, and the proper words for feelings develop naturally when the usage is modeled. Kids learn to say ouch when they get hurt, not because a parent is nearby saying What do you say?, but because that is what they have learned by observing the world around them. If you want to discuss something with children about Please and Thank You, you’d be better served by talking about the feelings associated with them rather than bullying-out an automated response. Talk about what it means to feel appreciative or grateful and then, if so desired, what words our culture uses to express these feelings and when. Practice what it would be like to have tea with the queen, or what politeness means in general. But for everyday living, Will you please pass me the coat you wear honey? or, Thank you for the Mother’s Day card, my love, it was so fun for me to get that from you, is more than sufficient. If you are unable to endure the social discomfort when a child remains silent after a person does something for them or gives them something, and you absolutely have to say something, you could try drawing your child’s attention to the situation and ask them, Do you want to tell your friend how you feel about that? The answer might be, No, and that’s fine, in which case you can express your own feelings on the matter. Oh wow, that lady was so happy that you thanked her for that sticker. Well when you said Thank You she knew for sure that you liked the sticker and were happy to get it. She liked that. I think that children that are prompted to say Please and Thank You develop a disconnect between the words and the feelings. They see Please and Thank You more as something that Mom and Dad make them say rather than an expression of their own feelings. It’s funny because we don’t force our children to express any other emotions but are determined to squeeze it out of them when it comes to gratitude. Perhaps the larger issue is our own insecurity about what other people think of our children, and by extension, of us. We want to be liked, we want to avoid criticism, and we are afraid. We are too scared to go against the social tide, too scared to give our children time to express themselves on their own. If given the opportunity to feel their feelings of gratitude and the chance to express them in their own way, they will. Children are naturally appreciative but you will never witness that sincere appreciation if you jump in and force it out of their mouths. Entry filed under: parenting principles, Please and Thank You. 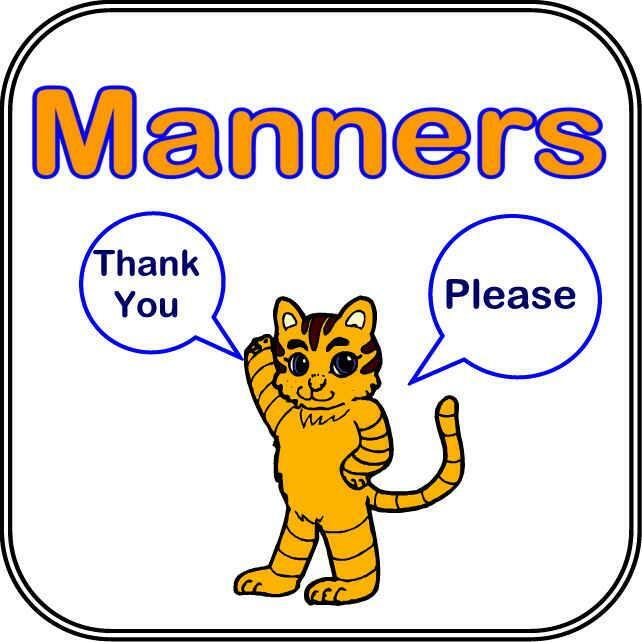 Tags: children, manners, saying please and thank you. I think the same is true for ‘sorry.’ Kids don’t experience compassion when forced to say ‘sorry.’ Admittedly I want to hear ‘I’m sorry’ sometimes (whether to me or her sister, friend etc) but more importantly I want it to come from an honest, sincere place. Not a robotic response. What works for us is I tell Margot how I feel and I tell her I’d love for her to give me a hug and tell me she’s sorry when she’s ready. It’s amazing. She thinks it through. Sometimes it’s within a second and other times an hour or so later, but she always apologizes and she gets it. She means it. And it means so much more to me than if I bullied her into apologizing in the heat of the moment. Oh – you both have done such a wonderful job helping me to find a way to deal with “please, thank-you and sorry.” I almost can’t wait to put it into action, except the sorry is usually due to the my eldest daughter clobbering her baby sister.